Portillo is the oldest ski resort in South America. Since the late 1880s the area known as “Portillo,” or “Little Pass,” has been a Chile ski destination. In the 1930s the first ski resort elements were built, with a simple tow lift. Adventure-seekers came from Europe and the US to ski the Andes. By 1949 a hotel, two single chairlifts and one surface lift were added. The high-mountain school of the Chilean Army, the ski school, and even guests groomed the slopes. The first Portillo ski school director was the famous French champion Stein Erikson and the first and only Alpine World Ski Championships in Latin America was held at Portillo in 1966. Today grooming machines have replaced boot-packing by troops and there are now twelve lifts, including five chairlifts. The Va et Vient lifts permit access to the high avalanche chutes. Quick and narrow chutes, great open-slope powder skiing, and awesome people are what continue to make this resort a success. Over the past 50 years, Portillo has gained a reputation as an excellent destination for skiers and boarders, thanks to the high snow quality. It is now the most famous South America ski resort. Eighty percent of the terrain is carefully groomed daily. Off-piste, powder, and unpacked runs are also available. The resort boasts variety and solitude, with terrain perfect for many ability levels. 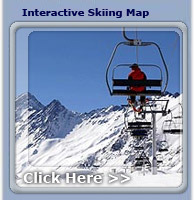 The skiing at Portillo is split about forty / forty between intermediate and expert trails with the remaining twenty percent being accessible to beginner skiers. The powder at Portillo resembles that of Alta / Snowbird in the Wasatch Mountains of Utah, with the high altitude accounting for the dry conditions. It is not un- similar to skiing in Patagonia. The mountain is steeper than many of the others we ski in Argentina or Chile with terrain for real experts. Head to the dining room for onces, or high tea, from 5pm - 6pm. Dinner at Portillo ski resort, as in all of Chile, is served late, at 8:30 (first seating) and 9:30 (second seating). Between tea and dinner you can check out the gymnasium for volleyball or soccer, take a yoga class, get a massage, have your hair done. You can also relax with a book in the living room, play a backgammon game, send an e-mail from the internet room, hang out in the swimming pool or Jacuzzi, watch a movie or simply take a nap. Portillo is totally self-contained, like a cruise ship, in the Andean peaks. Diner is served in an elegant, leather-panelled dining room. After dinner coffee or drinks are served in the living room, live music at the bar, and a disco are all options for a night out. Great options for kids as well.